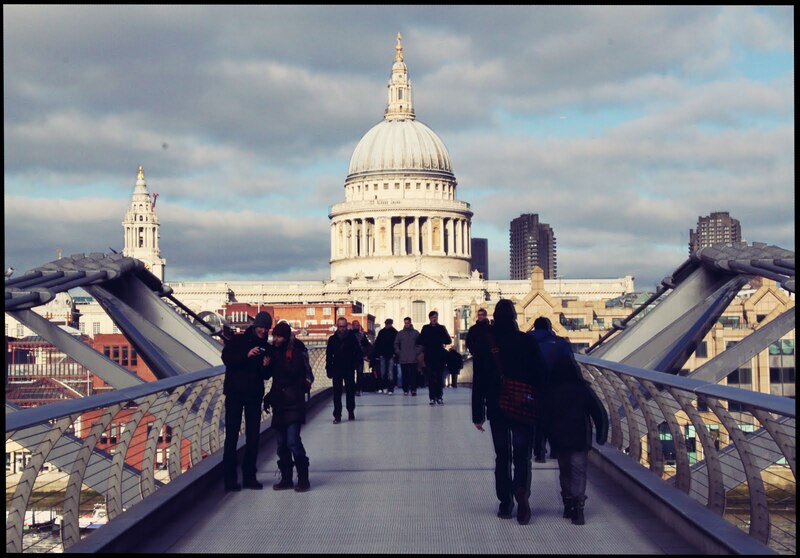 London:: Millenium Bridge [Arup + Foster and Partners] with St. Paul's Cathedral in the distance. School has picked up really fast. I'm working on a film, storyboard, and map for tomorrow. I'm slowly, but surely picking up Final Cut Pro, but Adobe After Effects is a huge pain.